At last, a true smoker from Fire Magic. 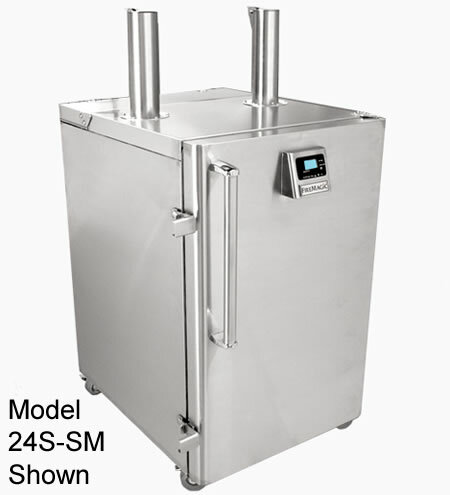 This commercial quality, stainless steel, high capacity Smoker allows you to smoke your favorite meats and vegetables using flavored charcoal or wood chunks. Multiple air and smoke vents allow precise temperature control. Includes digital thermometer and meat probe.